Princess Charlotte became a middle child on Monday, with the birth of her baby brother. The science of birth order is complicated, but some researchers say middle children tend to be more independent, empathetic, and altruistic. Other scientists say differences in personality and intelligence related to birth order are so small as to be almost unnoticeable. Prince George and Princess Charlotte have a new baby brother. 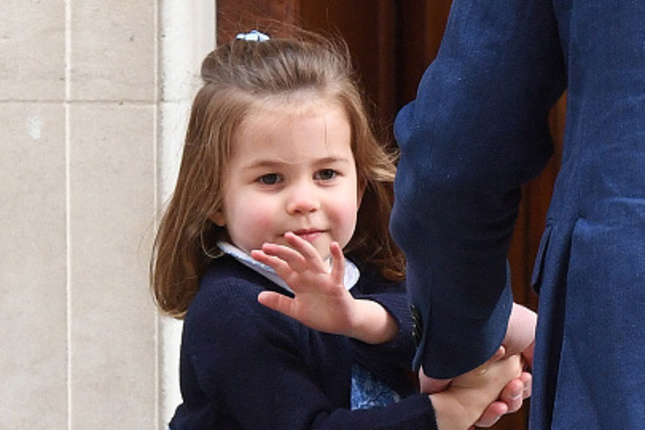 And for Princess Charlotte, the arrival of said baby brother (whose name has yet to be announced) means she's got a new role in the family: the middle child. No one can say with 100% certainty what that will mean for her future. For one, the royal family dynamic is pretty different from your average family dynamic. Plus, scientists have yielded different conclusions about the significance of birth order. Here's what we know so far. A 2015 study, published in the Journal of Research in Personality, found that birth order predicts some differences in personality and intelligence — but those differences are small enough that they're not even noticeable without running a battery of psychological tests. Meanwhile, a (much smaller) 2016 study, published in the journal Personality and Individual Differences, found that middle children are more likely to demonstrate "prosocial" behavior, meaning they're altruistic and willing to take risks that will end up benefitting other people. In an interview with Psychology Today, Katrin Schumann, an author of "The Secret Power of Middle Children," said that because middle children tend to be "neglected" by parents, they often become more independent and empathetic, which makes them good team players. Catherine Salmon, a psychology professor at the University of Redlands in California and Schumann's co-author, told Business Insider's Lindsay Dodgson that middle children can make excellent romantic partners since they tend to get along with many different personality types. Ultimately, middle kids like Princess Charlotte have every opportunity to succeed in life. In the interview with Psychology Today, Schumann offered some sage advice for middle children — royal or otherwise. She said, "The amount of parental attention you receive as a child doesn’t define how well you turn out."